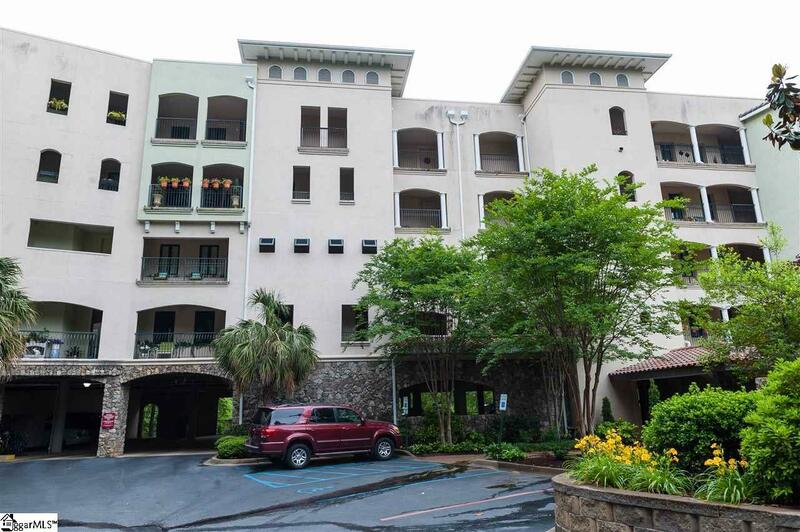 LOCATION, CONVENIENCE, & PRICE make this 1BR/1.5BA downtown Greenville condo the next one to add to your list if your looking for the condo lifestyle. 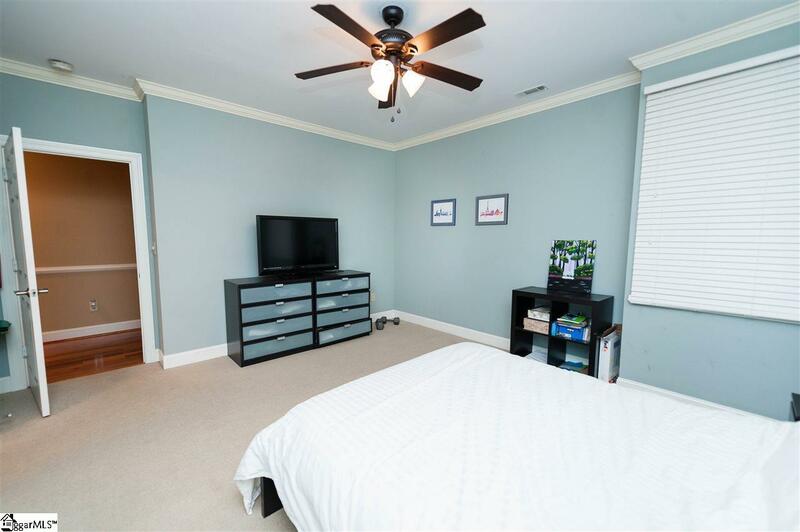 This 3rd floor unit is just footsteps from the elevator and features gorgeous hardwood floors, tall ceilings with crown moldings, neutral paint colors and more. The bedroom suite includes spacious bath with dual vanities, garden tub and separate ceramic tile shower and water closet. A walk-in closet is just steps away and talking about convenience, the laundry closet is in the bath and offers stackable accommodations. 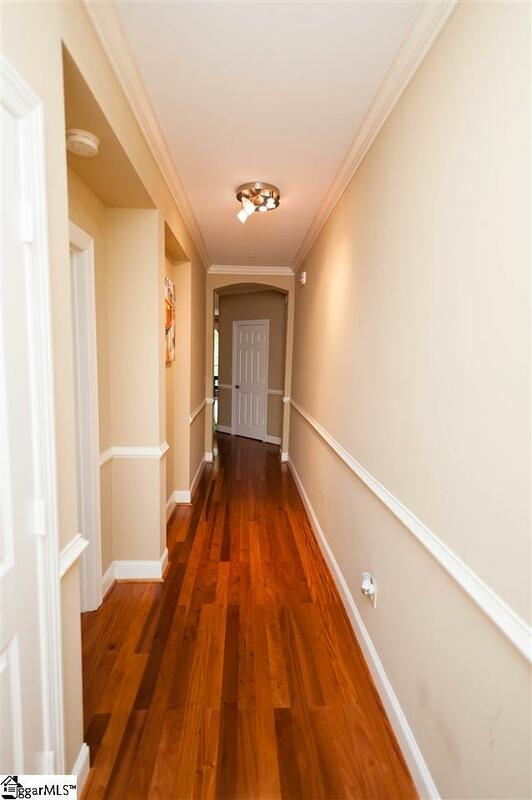 A long hallway leads you to the open kitchen/living/dining space where the hardwood floors continue. Enjoy cooking meals while entertaining guests as they pull up a chair at the bar top countertops and watch. A private balcony is through the double doors and gives you a nice view of the creek below. Additional features include a half bath, kitchen pantry, stainless steel appliances, coat closet and 2 storage closets. The common area of this gated property provides you space to grill those evening meals, while enjoying time in the courtyard. Located across from the Greenville Zoo and just minutes away from Downtown Greenville, 385 and more. 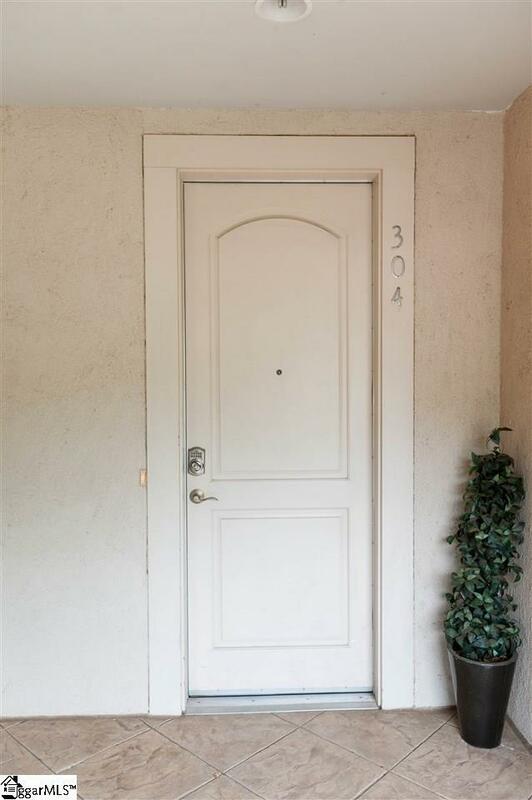 If you're looking for a condo, this one is a must see! !